Essigmann-Ome January 22nd 2016. John Groopman (from Johns Hopkins, far right) stopped by for a visit. Welcome! 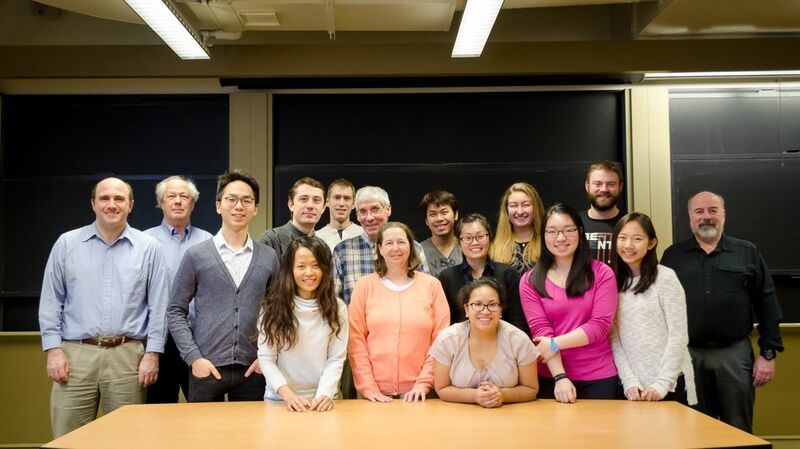 The Essigmann Lab is in the Department of Chemistry and the Department of Biological Engineering at the Massachusetts Institute of Technology. John Essigmann is also the Director of the Center for Environmental Health Sciences, Director of the MIT T32 Training Grant in Toxicology and Associate Director of the MIT Superfund Research Program. The research objective of John's lab is to understand the relationship between the structures of lesions formed in the genome by DNA damaging agents and the specific biological endpoints of mutation, cancer, and cell death. The goal of our work on carcinogenesis is to probe the molecular etiology of human cancer. Our parallel studies on antitumor and antiviral drugs focus upon the design of novel compounds that could be useful for the treatment of cancer and infectious diseases. Read a summary of our research for a broader understanding. A list of selected publications from the Essigmann Group can be found here. More about John can be found here. Adaptive Response Enzyme AlkB Preferentially Repairs 1-Methylguanine and 3-Methylthymine Adducts in Double-Stranded DNA.